has just announced that they are going to allow the marketplace to sell one-offs of on demand real embroidery. The reason why “real embroidery” has to be emphasized is because many places have tried passing off something similar to embroidery with patches and text on demand. Apparently this is being marketed as the real thing. The way they are doing this is by improving the digitizing process of preparing artwork for embroidery and taking out a lot of the associated costs with that process. I am sure that this is going to be an experimental run where they will have to continually tighten up the restrictions. Can you imagine an oversized piece of artwork embroidered on a shirt with over 50,000 stitches? That would be about $130+ with regular domestic market rates. but the execution will tell the tale…..
design so you can see the creative process unfold. 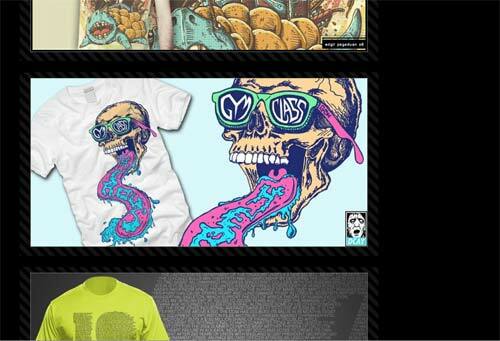 In the video Ray Frenden is working on doing an illustration for the clothing line “Electric Zombie”. EZ’s creative director, Kyle, told Ray to go wild and come up with a rough sketch that he thought fit with the company image. 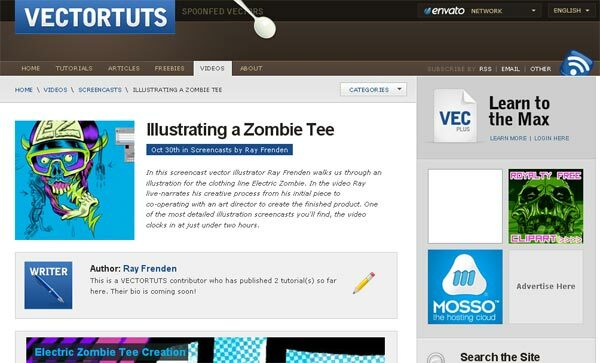 Ray came up with a great initial zombie design and the rest of the video takes us through the process of editing and altering that design to get it to the final product that would appear on the shirts. One of the most fascinating decisions made comes early on in the tutorial in which Ray decides that in order to fill some ‘negative space’ (empty area) he needed to add a spinal column. This idea was then altered to change the spinal column from a veiny structure to one with wires running through it. Be sure to check out this great tutorial. Not only will you have fun illustrating a zombie, but you’ll get to learn tons of new stuff about color choices, halftones, layering, and shadows.
. 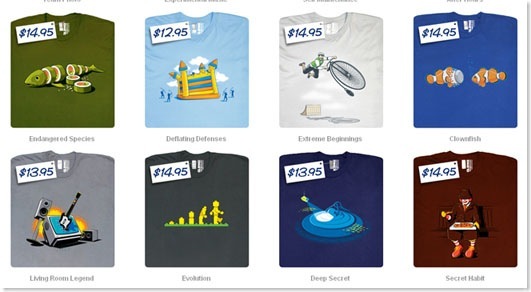 This blog brought it with its t-shirt inspiration post full of t-shirt designs. 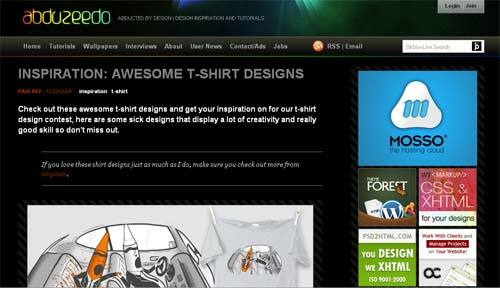 This graphic design blog will occasionally do t-shirt posts but they mainly focus on all things related to design. Check them out when you get a chance.
. It is a definitely a marriage of two categories that aren’t usually associated with each other. Apparently I am a little late t the party because they have done a good job of getting some quasi-celebrities donning their gear. 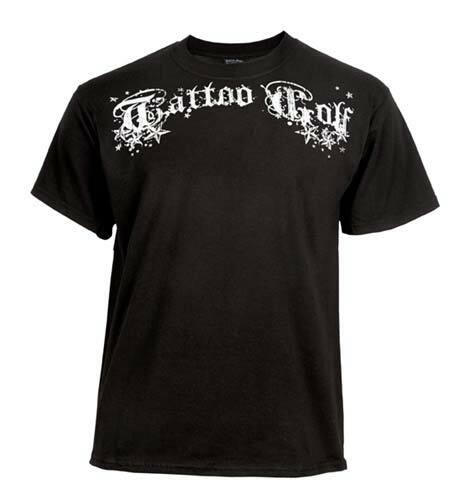 The designs lean towards tattoo trends but the actual products are golf related. Wouldn’t you know….Tattoo Golf might just be on to something. It certainly is a sport that anyone can enjoy, let’s just hope for this company that there are enough inked-up duffers to fill the niche.
. Right now it looks extremely simple and possibly unfinished, but I am sure they are going to move to an advertising model at some point. Either way, it is a great list of t-shirt blogs and we are glad to be featured on the site. 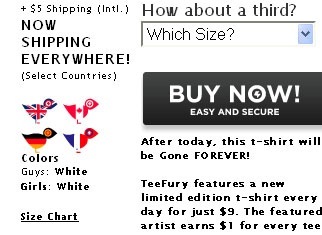 Starting at 12.95 – this is the only store-wide sale I have seen from Glennz Tee’s. Not certain how long the sale last however.